Ironing, I admit, is not something I do often. Or ever. But I still appreciate the ingenuity behind Panasonic's "both-ends-are-pointed" 360° iron line-up. Now, with the 360° freestyle, they've made it a little better. By making it cordless. 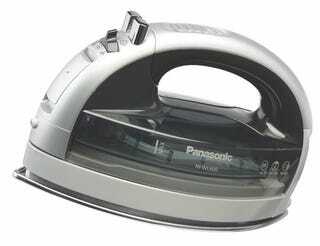 Why is Panasonic the First to Invent a Two-Way Iron?